At the heart of the three-storey scheme an attractive grand atrium provides a safe, secure and pleasant communal area for residents. It accommodates the reception, lounge, shop, restaurant, health suite and hairdressing salon. 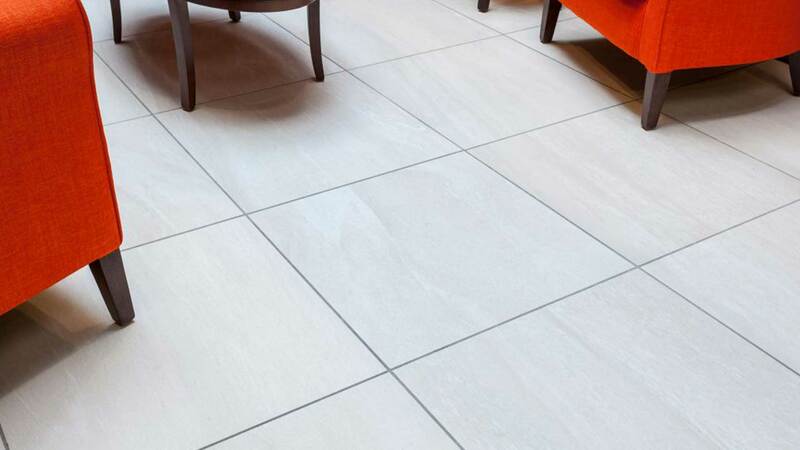 Here stylish, contemporary, large format 600 x 600mm Valmalenco porcelain floor tiles have been supplied by Nick Firth Tiles, Sheffield. 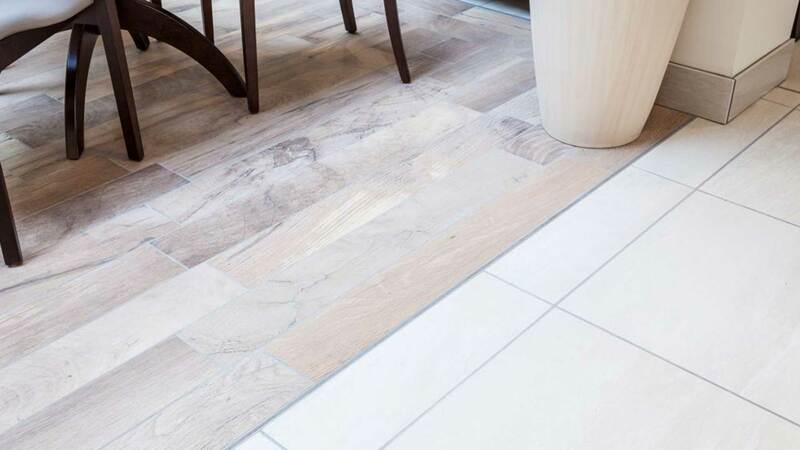 To provide a contrasting feature, an oversize 1000 x 150mm porcelain tile with an authentic wood-effect appearance has also been used. A total tiled area of 355m² has been completed with the added benefit and comfort of under-floor heating. Due to its ease of application and rapid-setting characteristics, weberset rapid SPF is one of the most popular powder products in the Saint-Gobain Weber tile fixing range. The product has been designed for fixing ceramic, porcelain and natural stone tiles to walls and floors. It is cement based and can be used as a pourable adhesive for large tiles. weberset rapid SPF has the added benefit of Low Dust Technology which achieves a cleaner and safer environment for applicators and property owners. 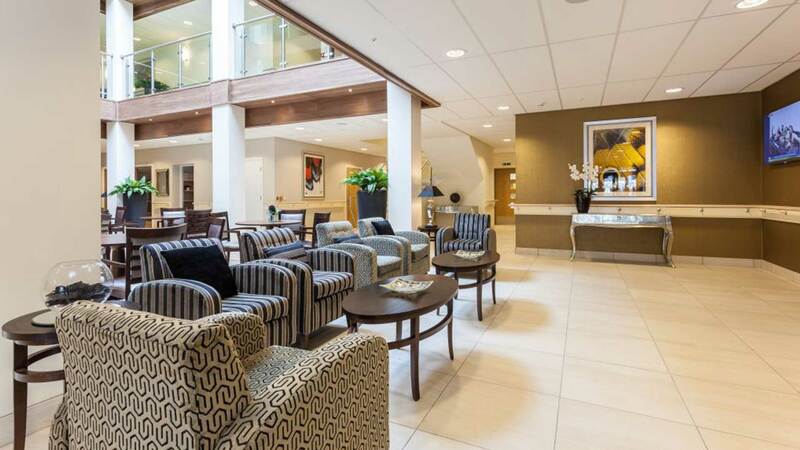 The Mackworth Extra Care scheme consists of 98 luxury, self-contained, one and two-bedroom apartments. The property has been constructed by Mansell Construction Services for a partnership between leading housing and care provider Sanctuary Group; Derby City Council, who has donated the land as well as a substantial grant, and the Homes and Communities Agency. The project was completed in autumn 2012 on the former site of the Arthur Neale House care home for handover in April 2013. It is intended that Mackworth’s independent living scheme will be at the forefront of delivering care and support for elderly people in Derby.